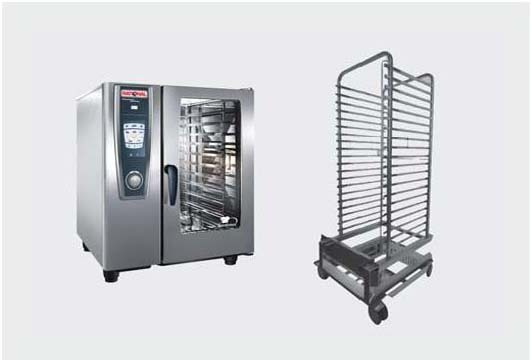 Catering to the needs of industrial kitchens, Ostermeier has an innovative manufacturing division as well as a trading division that represents some of the world's leading industrial kitchen equipment brands. 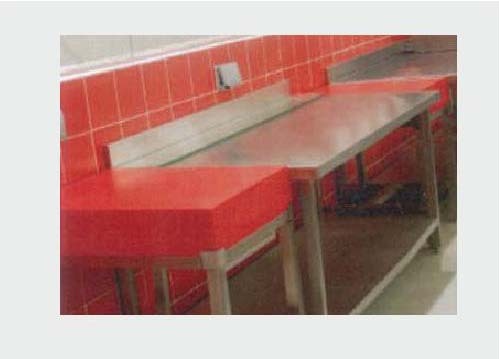 Our fabrication range includes: kitchen tables, bain-marie, sink tables, pot wash sinks, kitchen hoods, BBQ units, hand wash sinks, food tray trolleys, cutting tables, kitchen cabinets, closed cabinets, heated or cold cabinets, shelvings etc. 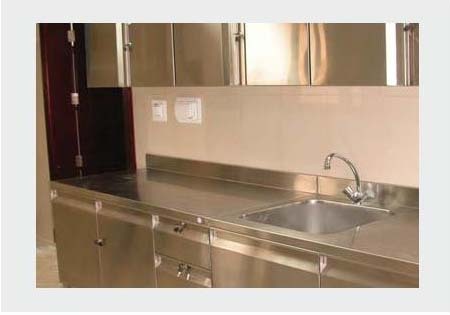 Stainless Steel AISI 304/316 Grade is used for manufacturing the Sink Tables. Sink tables come with standard back splash to protect the wall. Deep drawn sink bowls are made of heavy gauge material for durability. The table legs ensure stability and directly support the sink top. All parts are TIG welded and welds are ground to match the surface finish. 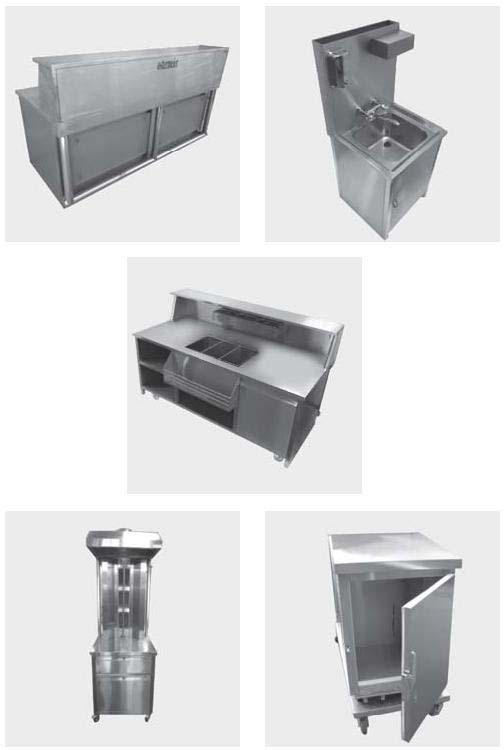 Self Cooking Centres are suitable for butcheries, bakeries and fast food outlets. All-in-one oven combined with convection and steam to maintain freshness of cooked products. Different cooking modes with varying temperatures and humidity levels in one oven are programmed without degrading taste. 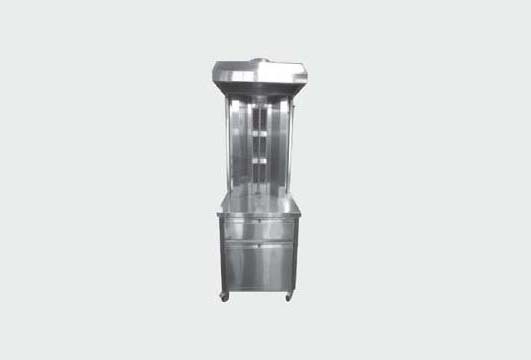 Heavy Duty Stainless Steel Shawarma Machines are designed with 3 to 6 french gas burners, electric knife and top mounted chicken or meat griller. All burners are individually controlled with adjustable gas flame. Middle shelves are provided on demand. 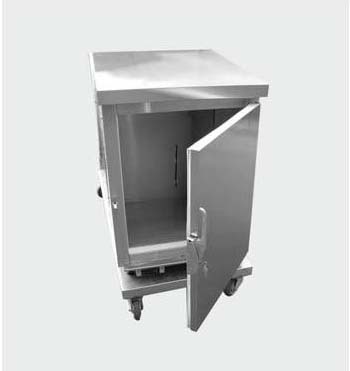 Hood canopy with different decorative designs and under-storage cabinet with castors are available. Hand Washing Troughs are used for public sanitation and hygiene. These are suitable for a range of applications such as schools, universities, public amenities and sports pavilions, allowing users to wash their hands with ease. 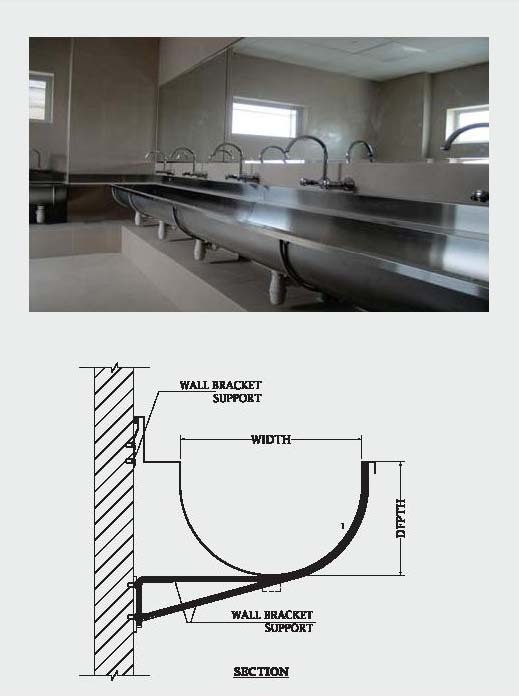 Hand wash troughs are available with brackets or legs to suit site requirements. Self-Contained Mini Bar Station with covered ice chest and speed rails for commercial applications. Multi-function mobile service counters are suitable for hotel lobby areas. Available with lights and concealed castor wheels. Also suitable for cocktail stations. Stainless steel single or double True Kegerator with digital thermostatic control and efficient cooling temperatures for indoor or outdoor bar stations. Suitable for all types of kegs. 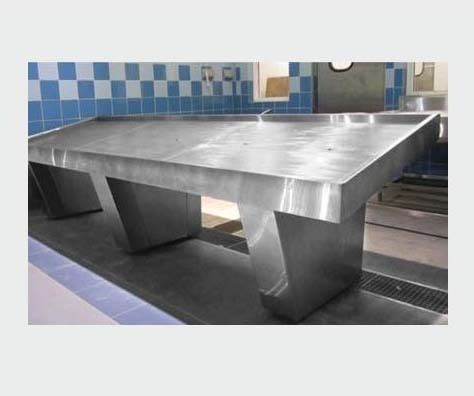 Stainless Steel 304/316 Grade, brush finish, heavy-duty Meat Cutting and Processing Tables have reinforced working top, 50mm poly chopping blocks (multi colors), placed on a stainless steel frame work with corner protection and knife holding rack. 100 - 200mm high back splash provided. Heavy-duty bracing is provided for extra durability. 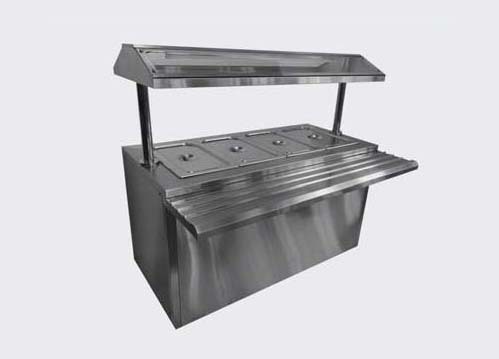 Wet heated bain-marie Hot Food Server accommodates GN containers. Full size or half size with lids, top mounted sneeze guard with lights, tray slide for self-service buffet, hot food storage with drain system. Fitted with heavy-duty swivel castor wheels. Temperature is controlled by digital thermostat ranging 0 - 90�C, 230 volts, 50Hz, 1Ph, stainless steel heating elements, power 3000 - 6000 watts. 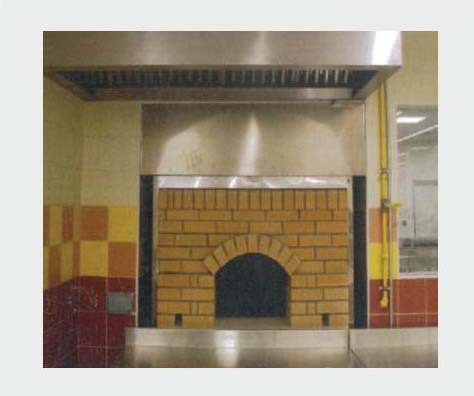 Kitchen Hoods are made from high quality Stainless Steel 304/316 Grade. 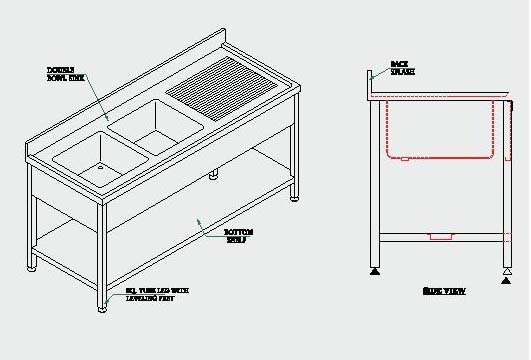 Stainless steel baffles filters, grease collecting trays and heat proof lights are standard features. 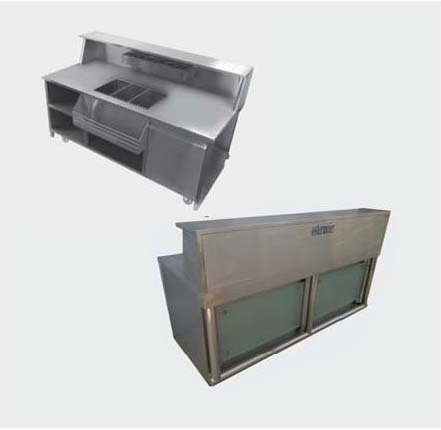 Wall mounted type or island type hoods are available in single skin or double skin models with provision for fresh air. Fish Display Tables have recessed trays and perforated removable sheets to hold ice. Drain pipes are provided. Stainless Steel AISI 304/316 Grade is used for durability. Wall-Mounted Cabinets are available with shelves and hinged or sliding doors. Doors are fitted with cam locks and cabinet hinges for ease of operation. Base cabinets have shelves with hinged or sliding doors. Heated base cabinets are available on request. All wall base cabinets are made of Stainless Steel 304/316 Grade. Stainless Steel Multi Tier Shelves are available with solid or with perforated shelves. 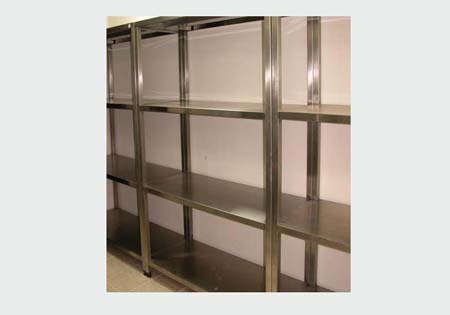 All individual shelves are provided with reinforcing stiffeners to carry maximum load. Square hollow tubes are used for robust construction. Available in varying widths and heights. 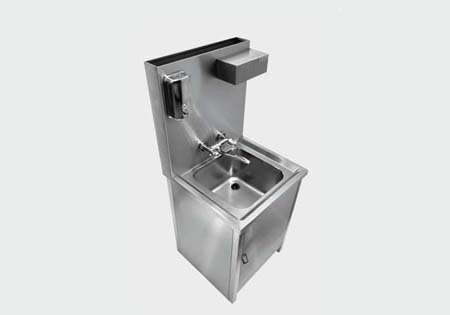 Mobile Hand Wash Units are ideal for external use. Besides the sink bowl, a water storage tank and soap dispenser is fitted to the high back splash wall. Square hollow section tubes are used for legs. The bottom is covered to form a closed cabinet with hinged door for storage. © Copyright 2018. Ostermeier FZE All Rights Reserved.